Easter Sayings: Some Bunny Loves Being your Friend - C.R.A.F.T. Update: This post was first written as a classroom Valentine, but I soon realized the cute bunny sayings make much more sense for Easter. 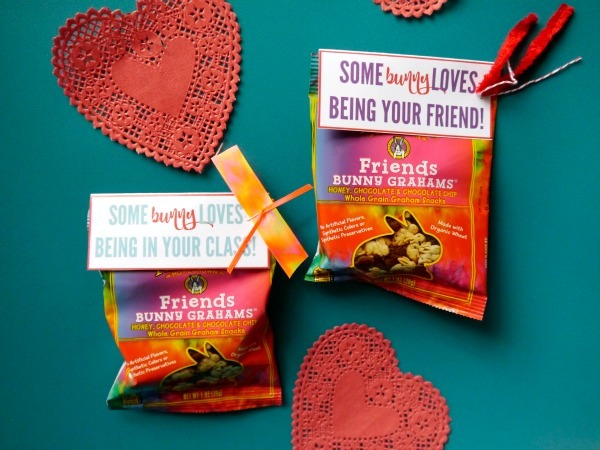 What kiddo doesn’t love bunny grahams or fruit snacks? 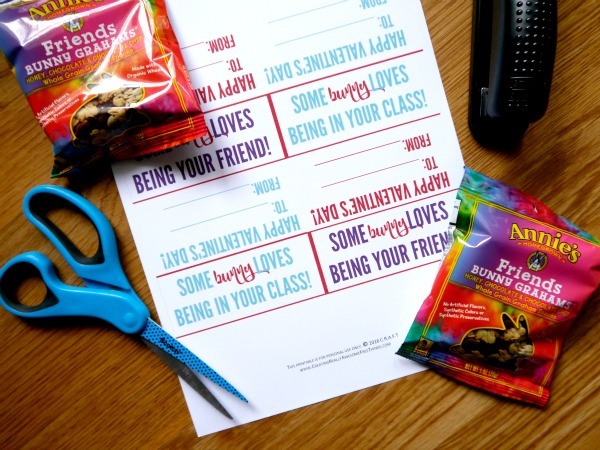 This free Easter printable pairs perfectly with either treat and make the perfect classroom treat. My kids can’t wait to hand these bunny treats out to their preschool classmates at the Easter party. It would also be fun share the Easter spirit with the neighborhood kids or a church class. Use the email box below to get the Easter Printable delivered to your inbox! Each page comes with 4 free printables- 2 of each saying. I like to print printables on white card stock so they are sturdy and do not get crumpled on their way to delivery as easily. I invested in a simple paper cutter since I do so many printables, but this is absolutely not necessary. A simple pair of scissors will work perfectly. Cut each printable sheet into 4 individual printables. Then, fold each one in half to fold over the bags of Bunny Grahams or Bunny fruit snacks. Once you have as many as you need cut out have your child fill out the “To:” and “From:” blanks. It is much easier to this now rather than wait until it is all stapled together. Once you have as many Easter treats as you need cut and the names filled out it’s time to assemble. Fold the printable down the center and fold it over the bag of bunny treats. I like to add a few little pieces of scrap yarn or string and staple everything together at once. 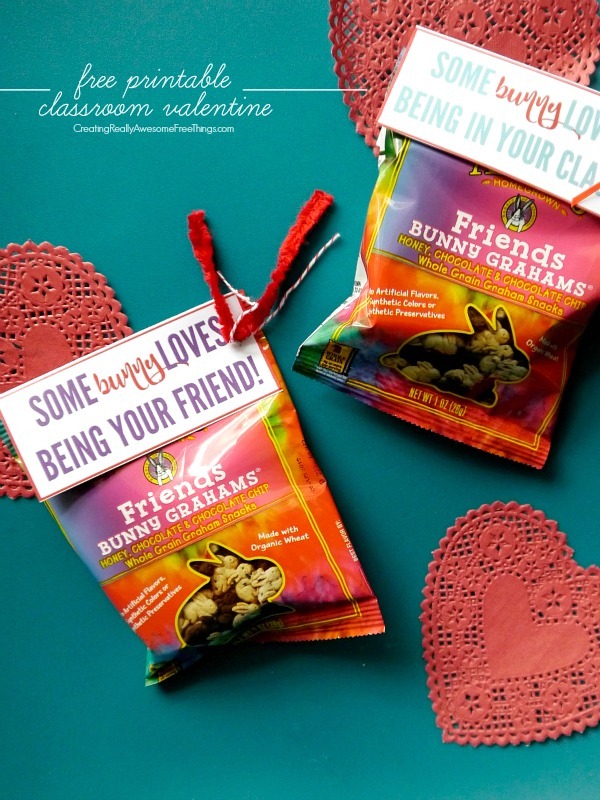 To get the “Some Bunny Loves Being in Your Class” and “Some Bunny Loves Being Your Friend” free printables, just pop in your email in address and it’ll come right to your inbox! What do your kids prefer: Bunny Grahams or fruit snacks? Tough choice, I know! 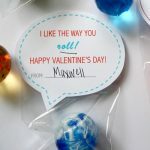 But, I’d love to hear… Oh and if you are looking for more cheesy sayings paired with small treats, check out this list of 154 punny sayings paired with treats! Cute and clever! Pinning and tweeting to share! 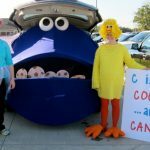 Thank you for linking up with us at Snickerdoodle Sunday! I LOVE this idea! What a great idea for my son’s class!! 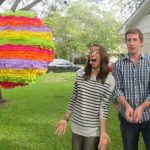 Thanks for sharing on Creative Muster linkup! How darling! Seriously, this is such a cute idea! 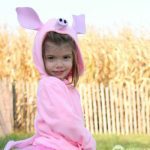 Thanks for linking up to us on Throwback Thursday and we’ll be pinning to our board! Be sure to visit us there and I can’t wait to see what you’ll be bringing next week. That’s adorable. The cheesier the better!